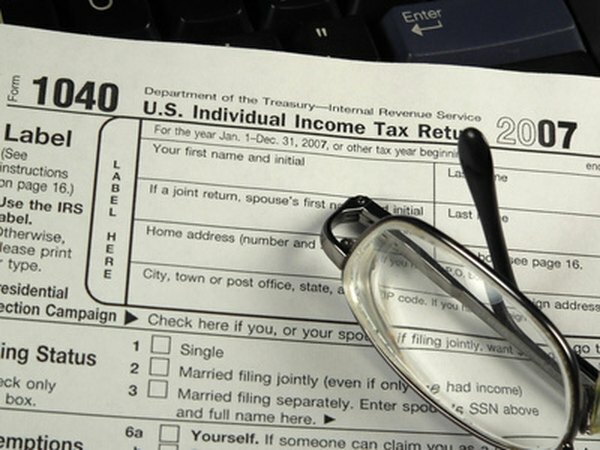 Form 1099s are used by taxpayers earning income other than as a W-2 employee. 1. Is Royalty Income Subject to Social Security Tax? 2. Is Interest on a Promissory Note Reported to the IRS? 3. Who Must File 1099 Forms? IRS form 1099 is for everyone who earns income other than as a W-2 employee of a business. There are multiple types of 1099s for the different types of income sources for taxpayers. Companies paying people who are not legal employees of theirs must issue 1099s to the taxpayer and the IRS. Among those who receive 1099s are independent contractors, those earning interest or dividends and landlords. Independent contractors are those who work for an employer on a sporadic or regular basis but are not legal employees of the company. Management does not control their hours of work nor how they perform their duties. They are hired to do one or more specific tasks or projects. How they complete, or how long they spend to complete, their tasks is up to the independent contractor, not the employer. Independent contractors receive 1099s at year's end from all companies from which they earned income during that year. No federal income taxes are withheld on these earnings, so workers should set aside money to pay taxes on these earnings and might need to pay taxes on a quarterly basis to avoid penalties. A common use for 1099s is to report taxpayers who have received interest from bank or investment accounts. 1099-INT forms also document interest earned from loans made by taxpayers. Form 1099-DIV reports dividends paid to taxpayers from stock ownership. Companies that declare and pay dividends to their stockholders must report all earnings paid on 1099s to both stockholders and the IRS. When you sell stocks, bonds, mutual funds or other investment securities for profit, you've earned taxable income. These earnings are reported on Form 1099-B. All publicly traded securities sold, generating income, are subject to 1099 reporting to taxpayers and the IRS. No federal income taxes are withheld on this income, so taxpayers selling investments for profit should make appropriate provisions to pay their taxes. Should you have one or more debts canceled by creditors, such as debt forgiveness as part of a foreclosure or short sale, the IRS considers this as income to you. As distasteful as this may be, you will receive a 1099-C as evidence to you and the IRS of the amount of "income" you earned via this debt cancellation. The rationale is that since you need not pay a canceled debt, your income has increased. If you have received money from state governments for unemployment compensation or tax refunds, you will receive a1099-G. These IRS forms report the dollars you received from governments that are considered income. For example, if you were unemployed for part or all of a year, the checks you receive from state unemployment programs are reported as income for federal tax purposes. Along with independent contractor, non-employee earnings, Form 1099-MISC reports other income sources, such as rents and royalties. This form covers any miscellaneous income not assigned or designated to a specific 1099 form. Any legal income you earn, not reportable on another 1099, will be stated on this document. Two copies, one for you and the other sent to the IRS, report and designate the source of this income.